It’s crunch time for many college applicants. Many students have already been accepted to their dream schools, but now they’re trying to figure out how to pay for it. Indeed, attending a particular school is often contingent upon the financial aid that’s offered. 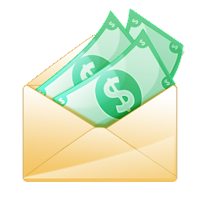 Financial aid deadlines vary college to college. But many schools require students to file their Free Application for Federal Student Aid (FAFSA) this month or next — and some even as early as today. The FAFSA is used to qualify students for grants, loans, and other forms of college aid. Applying on time is crucial to ensuring students have the opportunity to receive all of the aid they qualify for. And with most students seeking financial aid, there’s increased competition to secure the best package out there. There is only a finite amount of money available, and the earliest applicants have the best chance of receiving the assistance they need. There are some important steps students can take to manage the financial aid process. 1. File the FAFSA as soon as possible in advance of each school’s preferred filing deadline. If you haven’t filed your income taxes yet, collect your W-2 forms and 1099s and use them as the basis for completing the FAFSA, and do it today! 2. Develop a relationship with the school’s financial aid office by getting on the phone and explaining your family’s individual situation. 3. Not all aid is created equal. Grant aid does not need to be repaid, but loans do. Once you receive an offer of aid, analyze it carefully to determine the amount that actually comes from loans that will have to be repaid. 4. Find out if the aid you’re being granted is for all four years and/or if you’ll need to maintain a minimum GPA each year in order to keep the aid. 5. Never pay for any service to locate scholarships or assist in filling out the FAFSA. All information and assistance is available for free. 6. Find out if your potential colleges have any priority scholarship deadlines and don’t miss them. 7. Make sure to send your enrollment deposit to the college of your choice. Families sometimes overlook this important step. 8. Use the Web to search for private or specialized scholarships. There are thousands of untapped scholarships out there. The money might be small but it shouldn’t be overlooked. A small scholarship can at least pay for books. Again, you should never have to pay to complete a scholarship application. 9. If you’re turned down for assistance or don’t receive as much aid as you think you need, call the school’s financial aid office. Always be polite. Explain your situation. Perhaps you had a lot of overtime last year that raised your income but it won’t be repeated in the coming year. The only way a school will know that is if you call and explain. 10. Before you take on loans, consider whether the entry level jobs in the career you’re considering will pay enough to meet your living requirements while making loan repayments. If not, it might be time to consider lower cost school options. For more on these tips, tune in to FOX 61 tomorrow morning. I’ll be on at around 8 a.m. to talk about how to work through the financial aid process. I’ll also be participating in a live Web chat to share more information, which you can access on FOX 61’s website. 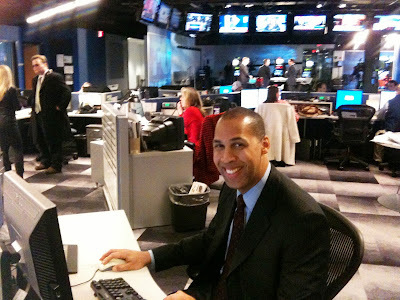 UPDATE 3/2/11: Here’s a shot of me in FOX 61 newsroom taking part in the live Web chat following the TV segment. Thanks to the producers for having me!